The last time we heard from Bharti Airtel, the telco had launched the new first time recharge pack of Rs 248. However, the wave of offers from the telecom operators is not stopping anytime soon. Firstly, there used to be free, data, calling and SMS bonuses for the subscribers to attract them and then slowly the telecom operators transitioned to content offerings to make their offers more attractive and to make their proposition unique. However, now Bharti Airtel has introduced yet another offer where the telecom operator is providing one-year free subscription of Norton Mobile Security. It would be very easy for the subscribers to get this new offer and install Norton Mobile Security for a year to protect their device. Here are the details of this offer. It is worth noting that subscribers of Airtel have received an SMS regarding this offer which says that on an Airtel recharge of Rs 199 or more subscribers will get the benefit of one-year free subscription of Norton Mobile Security. To get the benefit, the subscribers can redeem their Norton Mobile Security subscription from the MyAirtel application or by visiting the Airtel official website. It is also worth noting that Airtel offers a subscription to Norton Mobile Security to its postpaid subscribers as well who are eligible for the Airtel Secure plan which covers accidental damages. The Antivirus provides security features like protection against digital threats like risky apps, controls to safeguard your online privacy, lost or stolen device recovery when you need it, contact information restoration and sharing support for Android and iOS devices. Additional features of this Antivirus include Anti-phishing web protection, Malware protection, Remote Locate, Call and Text blocker, Privacy Advisor, Safe browsing, Anti-theft and more. The antivirus will offer additional features like contacts back-up as well so that you do not lose your contacts and you can easily back them up and restore them when needed. In other news, Bharti Airtel has introduced the new first-time recharge of Rs 248 while removing the Rs 345 and Rs 559 first time recharge plan from its portfolio. Essentially, the Rs 248 FRC by Airtel replaces the previous FRC of Rs 229. Overall, now Airtel is providing four First Recharge Plans of Rs 76, Rs 178 Rs 248 and Rs 495. 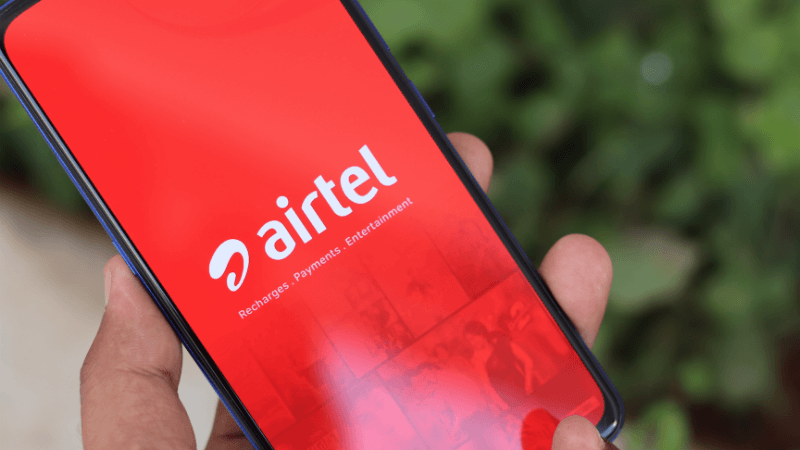 As for the benefits of this plan, Airtel has revealed that this new offering ships 1.4GB daily data, unlimited voice calling, and 100SMS per day. As of late, Bharti Airtel has been making long strides in the sector to lure other subscribers and to retain its customers as well. The telco has also deployed a massive Wi-Fi Zone network spanning 500 locations and more, across India providing up to 10GB worth of free data to its subscribers on these data hotspots. Upload speed is slow. 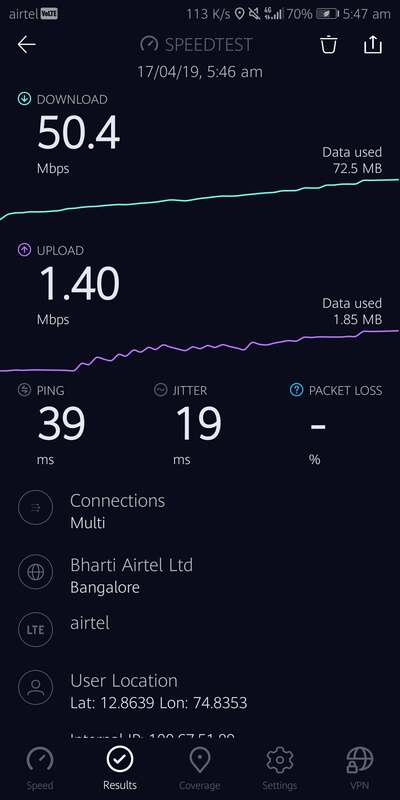 It’s seen that Airtel 4G users allover India are facing slow download speed and terribly slow upload speed in Peak hours. And they unable to use even 500mb of daily data. This maybe trick from airtel to save data used by customers. Activated Airtel and Idea volte via SMS in just few minutes but Vodafone could not activate volte after requesting them by email, twitter, customer care. Still waiting to test Vodafone volte. However, Vodafone works best on band 41. How to cechk Mobile Network Band or Frequency. If you have a Samsung device, you can dial *0011# and select stack 1/2 as per sim 1/2. You’ll get all frequency and bandwidth details. For other non rooted Android devices, use Netmonster app, but it’s not too accurate.